A memorable experience awaits you. When you're ready to find the perfect car for you or your family, let us help. As an authorized Mercedes-Benz dealer, we can answer all your questions and help you explore all the possibilities. And, we're conveniently located to anyone in the Louisville, Elizabethtown, Frankfort, and Southern Indiana areas. When you choose a Certified Pre-Owned (CPO) Mercedes-Benz, you get much more than an extraordinary automobile. You get industry-leading coverage – which now includes unlimited mileage with all CPO warranties. 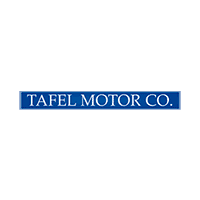 Tafel Motors is your Authorized Mercedes-Benz dealer conveniently located centrally to Louisville, Elizabethtown, Frankfort, and Southern Indiana areas. Whether you’re shopping for a new or used Mercedes-Benz or looking for award-winning Mercedes-Benz service or parts, all of us at Tafel Motors are ready to deliver a memorable experience. Click the link to the right to get directions from your town. Connect with us through Facebook or send a message to our Sales or Service departments. Our staff is committed to providing you with excellent service every day.